Malik's sister on Saturday in a statement said that Malik was on hunger strike ever since the NIA shifted him to Delhi and following his deteriorating health was shifted to a hospital. 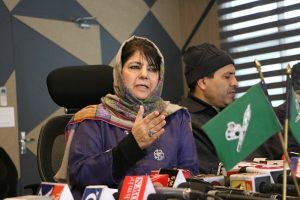 As a strategy to prevent the division of their votes, the NC and PDP have not fielded their candidates against the Congress on both Lok Sabha seats of the Jammu division. 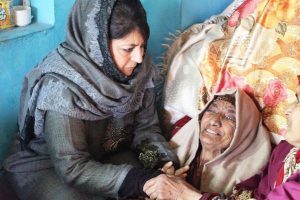 Kupwara, which has many infiltration routes, had registered 30.8% polling till 1 pm, while Bandipura segment registered 20.9%. 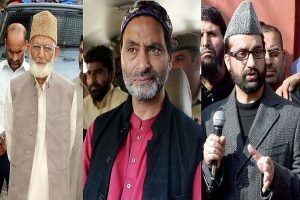 The separatists called for a boycott of the subsequent four phases of polling. 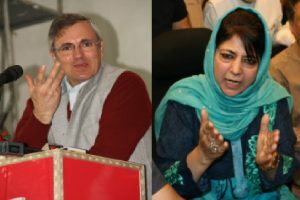 Reiterating the demand for revocation of AFSPA, Omar said it should be revoked in Jammu and Kashmir the way it was scrapped in Arunachal Pradesh. 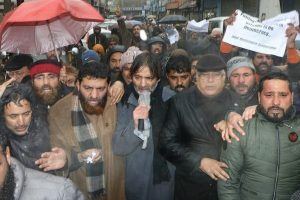 Home Minister Rajnath Singh, during his visit to Srinagar a day after the Pulwama attack had said security given to people getting funds from Pakistan and its spy agency ISI should be reviewed. 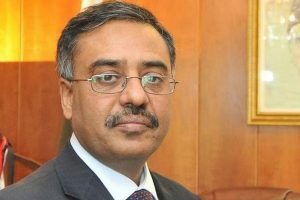 The notification on the ban was issued by the MHA after a high-level meeting on security chaired by Prime Minister Narendra Modi. 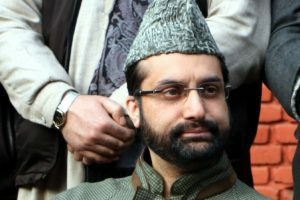 Malik's detention comes ahead of the hearing on Article 35A in the Supreme Court which is likely to take place on Monday. 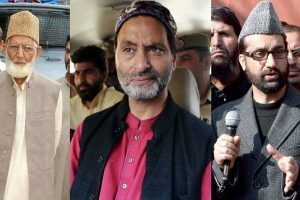 In a major step taken in the aftermath of the Pulwama terror attack, the Centre on Sunday withdrew the security cover of five top separatists including Mirwaiz Umar Farooq. 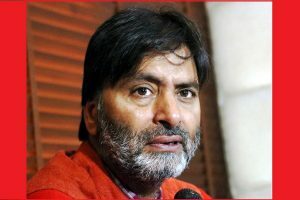 However, names of pro-Pakistan separatist Syed Ali Shah Geelani and Yasin Malik do not feature on the list. 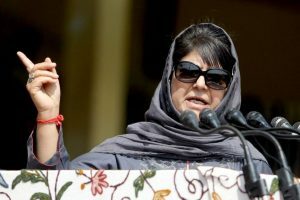 The decision comes two days after Home Minister Rajnath Singh slammed “those who take money from Pakistan to create unrest in Kashmir”. 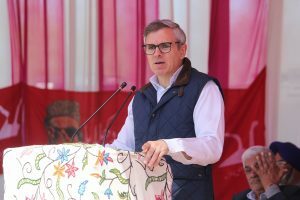 Qureshi had reportedly tried to instigate the Mirwaiz by briefing him about the anti-India Kashmir Solidarity Day that Pakistan would observe on February 5. 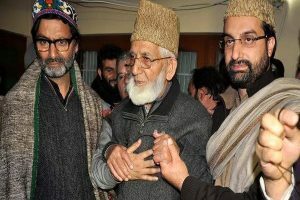 This is for the first time that a Pakistani minister of the Imran Khan government has directly talked to a Hurriyat leader in Kashmir. 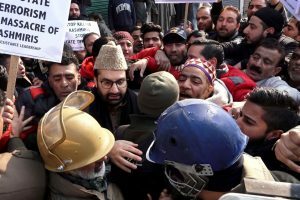 Soon after Qureshi spoke to the Mirwaiz, India reacted strongly by describing the development as “duplicity” of the Pakistani leadership. 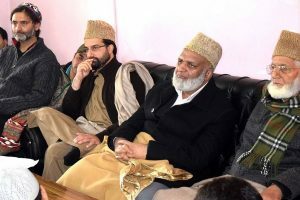 Top separatist, Syed Ali Shah Geelani, calls the slain terrorists "martyrs" and publicly offers tributes to them. 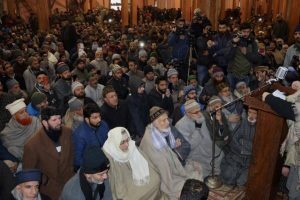 Srinagar's Jamia Masjid was on last Friday desecrated by supporters of the ISIS who waved black flags of the international terror outfit and mounted on the pulpit of the mosque with their shoes.